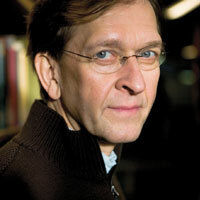 Martti Koskenniemi is Academy Professor and Director of the Erik Castrén Institute of International Law and Human Rights at the University of Helsinki, a Professorial Fellow at Melbourne Law School, and Centennial Professor at the London School of Economics and Political Science. He has held visiting professorships at New York University, the University of Cambridge, the University of Utrecht, Columbia University, the University of São Paulo, the University of Toronto, and the Universities of Paris I, II, X, and XVI. He was a member of the Finnish diplomatic service from 1978 to 1994 and of the International Law Commission (UN) from 2002 to 2006. His main publications include From Apology to Utopia: The Structure of International Legal Argument (1989), The Gentle Civilizer of Nations: The Rise and Fall of International Law 1870-1960 (2001), The Politics of International Law (2011), and The Cambridge Companion to International Law (2012, co-edited with Professor James Crawford). He is a graduate of the Universities of Turku and Oxford, and holds the degree of doctorate of laws honoris causa from the Universities of Uppsala and Frankfurt.